Bexley Gallery, St. James's Institute of Oncology, Bexley Wing, St. James’s University Hospital, Beckett Street, Leeds LS9 7TF. The Atrium Gallery, Bexley Wing, Leeds. The exhibition hangs on the 26m x 5m gallery wall in the beautiful, light-filled atrium of the Bexley Wing at St. James's University Hospital. Sizes of the work will vary from larger acrylic on board to smaller giclée prints. Parking is available in the multi-storey car park at the back of the Bexley Wing on Alma Street, off Beckett Street (charges payable). 25% of all proceeds will be donated to Leeds Cancer Centre the fundraising arm of St. James's Institute of Oncology which provides specialist medical equipment, research and development, and patient "home comforts" to 1,500 patients each day. The Atrium Gallery, Bexley Wing, St. James's University Hospital, Beckett Street, Leeds LS9 7TF. Leeds Cancer Centre is a registered charity number: 1170369. 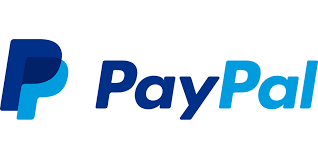 This website accepts PayPal, VISA, Mastercard, Discover and American Express. All transactions are secure and encrypted. We never store your credit card details.